All of a sudden, I've seen a pile up of poetry awards announcements and it's time to pause and celebrate each one of them. It's always nice to see poets and poetry books get recognition. I hope these awards also help teachers and librarians add to their poetry book collections and cast a wider net in reading and choosing new books to share with students. So please indulge me as I share the latest installments for several recent awards. The Cybils Award for Poetry went to The Last Fifth Grade of Emerson Elementary by Laura Shovan (Random House, 2016). All the Cybils winners are listed HERE and you can find a teaching guide for Laura's lovely novel in verse HERE (created by yours truly). The Claudia Lewis Poetry Award this year went to When Green Becomes Tomatoes: Poems for All Seasons by Julie Fogliano (Roaring Brook Press, 2016). You can find more info about this award at a "toolbox" I created several years ago that shows all the winners and honor books and provides some mini-lessons and digital trailers created by my wonderful students. Click HERE for the Claudia Lewis Poetry Award Teaching Toolbox. The Lee Bennett Hopkins Poetry Award went to Somos como las nubes/ We are Like the Clouds by Jorge Argueta (Groundwood Books/House of Anansi Press, 2016). Once again, you can find more info about this award at a "toolbox" I created several years ago that shows all the winners and honor books and provides some mini-lessons and digital trailers created by students. Click HERE for the Lee Bennett Hopkins Poetry Award Teaching Toolbox. 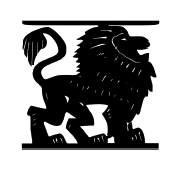 The Lion and Unicorn Award for Excellence in North American Poetry went to TWO books, Hypnotize a Tiger: Poems About Just About Everything by Calef Brown (Henry Holt, 2015) and My Seneca Village by Marilyn Nelson (nameless, 2015). I also created a Teaching Toolbox for this award with the assistance of my graduate students. You can find the Lion and Unicorn Poetry Award Teaching Toolbox HERE. 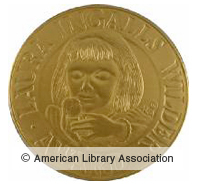 The American Library Association (ALA) announced the recipient of the Laura Ingalls Wilder award for a "substantial and lasting contribution to children's literature" is poet Nikki Grimes. You can find more information about this year's Wilder award HERE. And finally, ALA also announced that the person who will deliver the 2018 Arbuthnot Honor Lecture is poet Naomi Shihab Nye. Now that she has been selected, libraries and universities can apply to host Naomi's lecture. You can find more information about the Arbuthnot lecture HERE. Did you notice how each of these awards recognized a DIFFERENT book or poet? I love that! Poetry offers such richness and diversity that it's wonderful seeing many, many books get lots of love and support. Be sure to check them ALL out! Now head on over to Jone's place at Check It Out for more Poetry Friday goodness. It's a marvelous array of poetry to enjoy, isn't it. I've read and enjoyed them all except Hypnotize A Tiger, new title to me. Thanks, Sylvia! Wonderful to see these books recognized. I've read all except My Seneca Village. Hooray for poetry! Thank you for calming the wonderful whirlwind long enough for us to take it in all together, Sylvia - what an incredible feasts of works. And, yes - fantastic to see that they are all different; a very rich, award-worthy selection! It is so wonderful to see poetry receiving more awards. All of the poets mentioned are very deserving! Another fabulous and informative post. I will be sharing this in the next newsletter for librarians in my region. Thank you so very much! Hurray for poetry, poets and positive proponents! Wow! So many wonderful awards and so many wonderful books! Congratulations to all! Thanks for this wrap-up, Sylvia. It makes me smile to see so many well-deserved accolades. Looking forward to watching Lee Bennett Hopkins be inducted into the Florida Artists Hall of Fame this week, too! You have organized me mightily with this collection of links & laudatory poetry news. It's so marvelous that there are enough honors & citations & awards to need help keeping them in order. Thanks for putting this list together Sylvia! Wonderful to see this recognition for poetry!